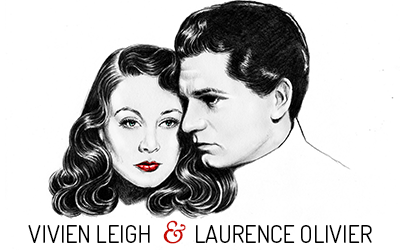 I was recently contacted about a never-before-published interview that Vivien Leigh had done in 1966 during the run of her last play, Ivanov, in which she co-starred with her good friend John Gielgud. Peter Coyne, a former student and good friend of the interviewer, Richard F. Mason, was kind enough to choose vivandlarry.com as the source of publication. 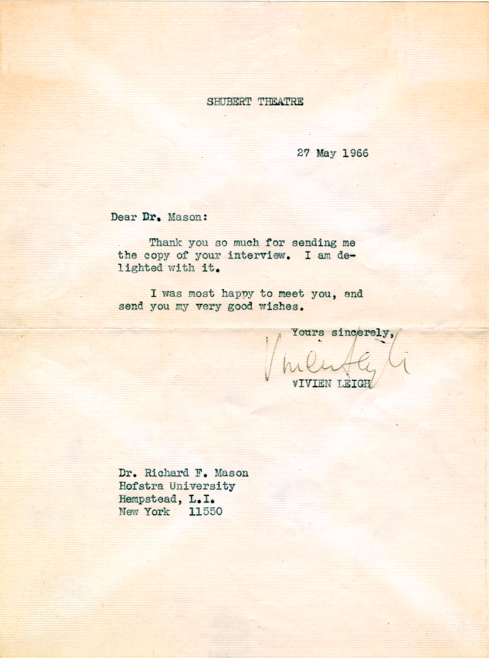 He has written a marvelous introduction to the interview, as well as provided a scan of the letter Vivien sent to Mr. Mason in response. Thanks, Peter. Richard F. Mason was a professor of drama and director of university theater productions at Hofstra University on Long Island from 1964 until 1993. I was his student there from 1977 until 1981, and his friend thereafter. 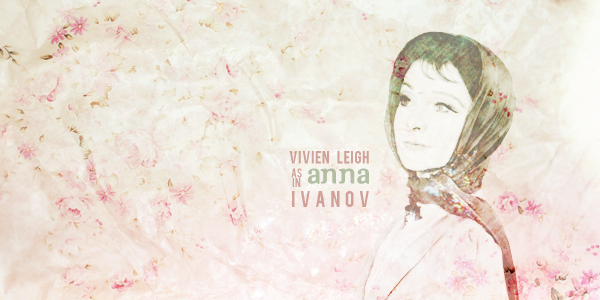 He wrote the following interview with Vivien Leigh in 1966, when she was appearing in New York City in her last play, Ivanov. Mason was still fairly new to New York at that time, having recently moved into the Charles Street apartment in Greenwich Village where he would live until his dying day, November 26, 2010. Although he was already 37 years old at the time of the interview, there is still a touch of the “stage door Johnny” about him, even if one armed with a PhD. He often mentioned in later years, when recalling the experience, the degree to which he felt star-struck, and how his time with Vivien felt rather like being in a dream state. Writing was never as great a strength for him as teaching and directing were, yet he manages to be rather funny in his own very arch way (to me, at least), and Vivien herself says she was “delighted” with the result. 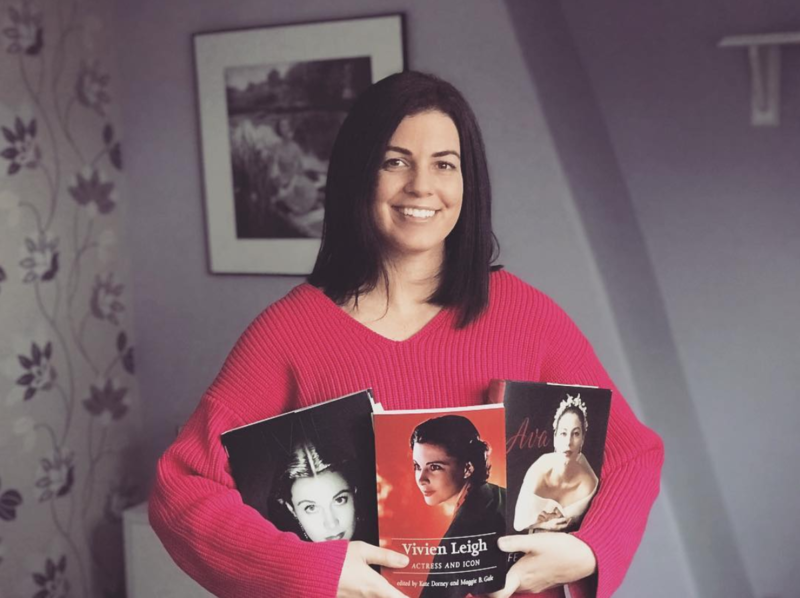 Since Mason frequently references in his interview a piece about Vivien Leigh written by Elaine Dundy that had just been published, a summary of that article might be helpful. It appeared in the Village Voice on May 5, 1966, under the headline, Vivien Leigh: On Interviewing a Star On a Wet Washington Day. Ms. Dundy describes the colorful roles Vivien has played, the exciting life she has lived, and labels her an “Adventuress.” She describes boarding the plane for Washington, hauling herself and her overnight gear through a D.C. downpour to get to the theater, all for what she labels a “Snub Interview.” Her greeting from the star: “‘Don’t come near me!’she cries out as I advance into the dressing room. ‘I’ve got a cold.’ (I mention this as the most gracious thing she will say to me in the next 20 minutes. )” Her Vivien emerges as not chatty, but catty. There is one hilarious moment: After a pause, Vivien says to the writer, “I loved that piece you wrote about Barbra Streisand.” Response: “I have never written about Barbra Streisand in my life.” In the end, Ms. Dundy must make due with terse, sometimes monosyllabic answers (“No.”) to her rather inane questions. She dashes for the last flight back to New York City instead of remaining in Washington overnight as planned, feeling very snubbed indeed. Now, for a glimpse at a very different Vivien Leigh, as seen through the eyes of young Professor Mason in his heretofore unpublished interview. I hope you will enjoy reading it. At the end of a recent interview with Vivien Leigh, an apology was offered her for Elaine Dundy’s bizarre impressions which earlier had appeared in The Village Voice. Inexplicably venomous and self-aggrandizing, Dundy’s “interview” must have made every responsible journalist cringe and shudder. The storm of protest it attracted was justified. Miss Leigh was at a loss to explain Dundy’s hostile attitude. (Perhaps she knew it was reflective of Kenneth Tynan’s, a mentor of Dundy.) With a gesture of surprise, Miss Leigh said, “I didn’t have to see her. I simply don’t–cannot understand.” Perhaps a man might. There was absolutely no resemblance between the Vivien Leigh of this interview and the one of Miss Dundy’s projection. This Miss Leigh did not behave eccentrically, or cover her face (why on earth or in heaven would she?) and talk about tastes in tea. Miss Leigh sat, as a matter of fact, rather comfortably in her dressing room during a recent matinee performance of Ivanov. She commented on a variety of theatrical subjects, which indeed, would be the only purpose of a general interview. True, despite her relaxed air, it seemed impossible for her not to impress as poised and elegant. Nor, to add to the paradox, did she impress as granting an audience, but one generously participating in a shared interview. The actress’ appreciation and alertness to character in the drama threaded its way through many of her comments. Her views reflected those of many observers of the theatrical scene who admire British versatility and are dismayed at the inability of the American actor to exploit a “stage style”. “It’s a matter of appreciating a character’s psychology, not one’s own. Acting is not dependent upon an analysis of self but of a character. We look for a variety of characters to increase our range and depth–as many as our physical limitations will allow. The length of a role is absolutely secondary to its dimension. This approach is in our training, our repertoire system, our schools. It’s our tradition.” Hear, hear, Lee Strasberg. Since Miss Leigh had considered appearing in Hush, Hush, Sweet Charlotte (the role later wentto Olivia de Havilland), she was asked of her attitude toward the appearance in horror films of such luminaries as Davis, de Havilland, Crawford, or Bankhead. What was her final opinion of her last two screen appearances, The Roman Spring of Mrs. Stone and Ship of Fools, neither of which earned enthusiastic responses? “There was too much interference with the first. The highly inventive Jose Quintero was not allowed to be on his own. He was shackled. My character lost dimension. The equation between theatre and a character may be the occupational hazard of an actress,but it is an understandable one when the gallery of characters from Shakespeare to Williams, excitingly realized by Miss Leigh on stage and screen, is recalled. This Miss Leigh also exhibited a gracious eagerness to bestow credit wherever she believed it reasonably belonged. Since the starring presence of Sir John Gielgud did not save last year’s Tiny Alice, some critics suspect that it is her presence drawing crowds to Ivanov, a play as stuffy as the former was confounding. And she expressed enthusiasm for the resurgence of vitality in the British theatre. The Miss Leigh of this interview was philosophically impatient that a film magazine had quoted her as saying that film work required more concentration than the stage. Nor does this Miss Leigh feud with directors, respecting their problems and their art. While observing this Miss Leigh in casual conference with Sir John Gielgud (“still improving theplay”), one is forced to be aware that actors of such magnitude are a special breed. They possess a quality that is absolutely not imposed, like an overcoat, from without, but must emanate from an inner consolidation of awareness, security, and confidence. Miss Dundy reported that after departing Miss Leigh, she sat in a cab and “allowed herself to laugh”. It is just possible that she did not quite pull herself together before writing the interview. Obviously, one approaches the popular interview with his critical guard up, for we are a celebrity-sensitive nation tending to attribute a weight to the opinions of the glamorous that is something naive. However enjoyable the repartee may be, the newsworthy do not necessarily say newsworthy things. Nevertheless, that these are printed and read comprise a paradox of popular journalism. Miss Leigh’s statements are of interest because, within the context of her notable career, Miss Leigh herself is of interest. Her comments add detail to a career which exists in public domain. The Vivien Leigh of this interview kindly understood and accepted this. Who could Miss Dundy have talked to? This is fascinating for many reasons, chiefly for flying in the face of the famously bitchy comment she allegedly delivered when she declined the film of Hush, Hush, Sweet Charlotte. Also for her thoughts on her last two films and why they didn’t really work. Thanks for posting this, K.
I agree, the comment about Bette Davis and Hush, Hush, Sweet Charlotte is really interesting. It’s great when these sorts of things come to light because it makes us question the validity of “famous” quotes that have been published which suggest a more tabloid-esque cattiness in Vivien. Elaine Dundy was connected with the Oliviers on some level, perhaps later, because I met her in the 60’s and she told me about visiting Notley Abbey. She was married to Kenneth Tynan in the 50s, don’t know the dates, perhaps that was the connection. Yes, she was married to Kenneth Tynan and they visited Notley on a couple occasions. please… which were the “famous” quotes? I’ve never heard about! 1.I read it with tears in my eyes for all of us–Vivien, Dr. Mason, and your fortitude in caretaking the Mason piece and COPYING THE LETTER, a real tour de force for the end. Legends. Did you ever see Orson’s Shadow by Austin Pendleton? What did you think of it? Were you in SD for it at The Globe? Anyway, the play deals with the stereotypes of our Vivien and Larry, sometimes amusingly, sometimes appallingly. Thank you for sending me the link. Congratulations. Is your next position as researcher for the Leigh estate??! 2.Very nice! Thanks for that link -I enjoyed the interview and loved Vivien’s attitude towards those 1960s “Grand Dame Guignol” horror movies Bette, Joan, and Olivia were making. That’s also a nice website; the color pix are provacative (I have that Olivier & Oberon movie magazine cover publicizing Wuthering Heights off to the right) and I went on to read about Madonna Of The Seven Moon through a link located below the interview. And a 3rd one from a friend in Tokyo who is dealing with far too serious issues in her everyday life right now: I read the Vivien page–and enjoyed it very much. Of course she was happy with his interview! Especially after the other. Your intro was a wonderful set-up. He could not have asked for a better epitaph. And what a treasure that letter is! Aww, it was my pleasure to post it here. Thanks for sending it in. I’m glad people are enjoying it; it’s always nice to see new light shed on Vivien as a person. I was thinking of the Elaine Dundy piece, and reasoned that Vivien very well could have been bitchy with her if she was in a bit of a manic phase, but any “good friend” of Vivien’s would have recognized that she wasn’t quite herself and wouldn’t have published it. I introduced a couple of my classmates to the Larry and Vivien: The Oliviers in love, and they were really put off by Elaine Dundy’s commentary and the excerpts quoted from Kenneth Tynan’s diaries. I’ve always taken these quotes with a grain of salt, I often wonder if this was just a publicity stunt just to get people to see the film in question. As I understand it, Joan Crawford was experiencing health problems and had to be replaced, so Vivien would not be acting with Joan and Bette, so the quote makes absolutely no sense! As far as Elaine Dundy, she knew of Vivien’s bipolar issues, so what the hell was her problem!?! Talk about a fair weather friend!